Maysville, MO…..Goldie Mae Casper, age 89, was born February 10, 1927 in Tama County, IA the daughter of Vernon Earl and Gladys Marie (Adams) Krumme and passed away with her family by her side February 5, 2017 at her home in Maysville. Goldie was a Benton High School graduate Class of 1944 and retired from Missouri Western after 23 years of faithful service. She was a member of Maysville First Baptist Church and American Legion Auxiliary for over 60 years. She loved flowers and flower gardens. 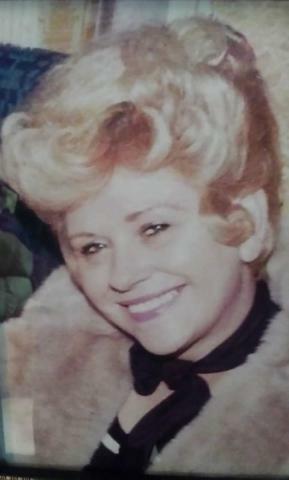 She is preceded in death by her parents; two husbands, Marvin Black and Billie Casper; sister, Bonnie (William) Johnson. Survivors include two daughters, Sheryl Gordon (Lee), Phoenix, AZ and Judy Black, Maysville, MO; four grandchildren, Daemeon Brown (Ray), Maysville, MO,, Jim Lewis (Jami), Gladstone, MO, Kristin Timmerman, Phoenix, AZ, and Dexton Blum, St. Joseph; nine great-grandchildren; one great-great-granddaughter; and two nephews, Steven Johnson (Shari) and Dennis Johnson (Debbie).